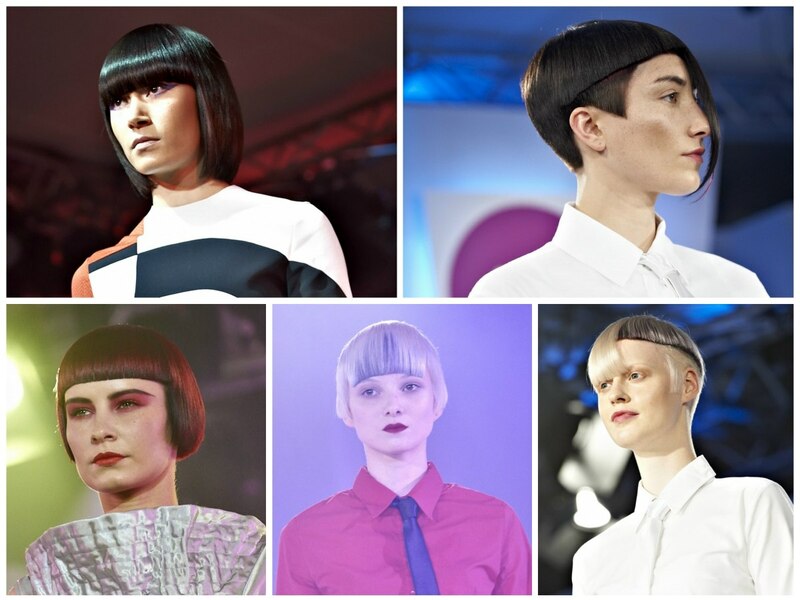 The traditional Sassoon Quality comes in 6 shapes. 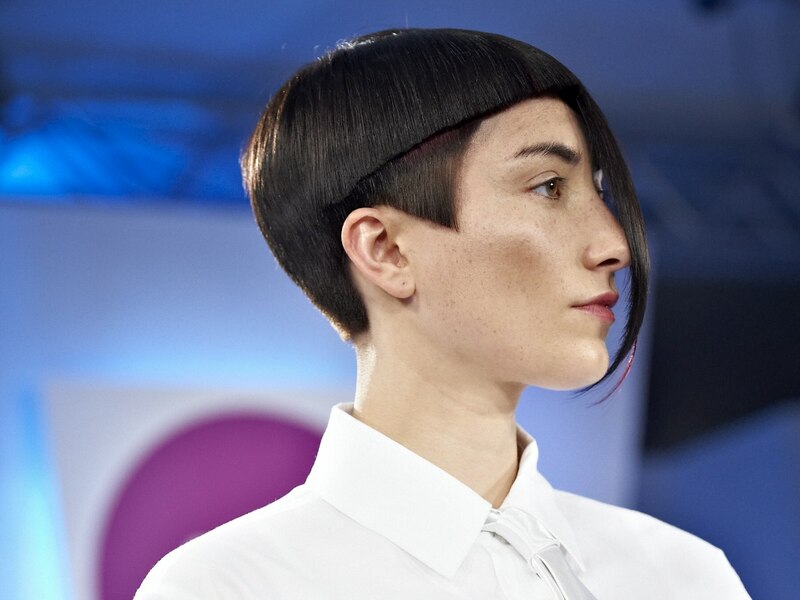 Sassoon Academy took the signature Sassoon short cuts with their geometric and at the same time organic and rounded shapes and added a visionary edge and a few other surprises. 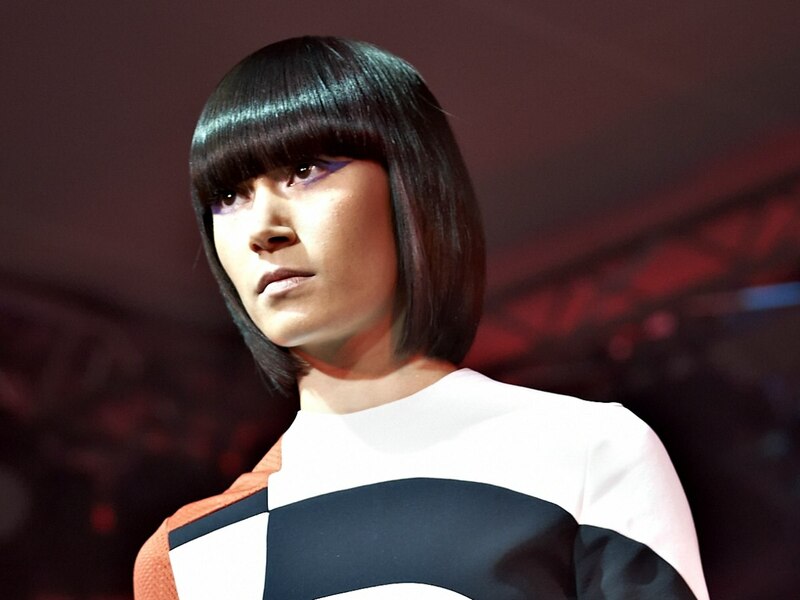 Based on the famous bob, these new looks are not your mama's hairstyles, but a new generation of trendsetting looks. 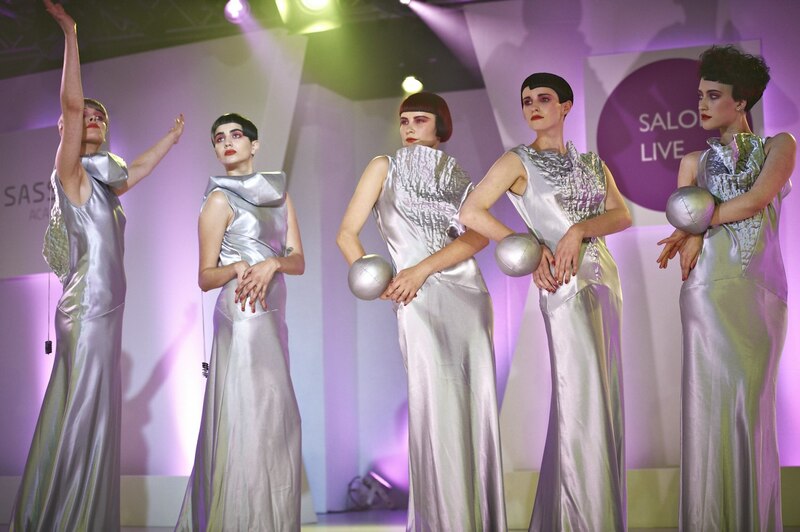 Precision is the Sassoon way that makes a hairstyle look great in the salon but also after you come home and each time you wash it, these graphical stunners are made to last. Corners, arches and triangles alternate with overlapping, strictly outlined layers. 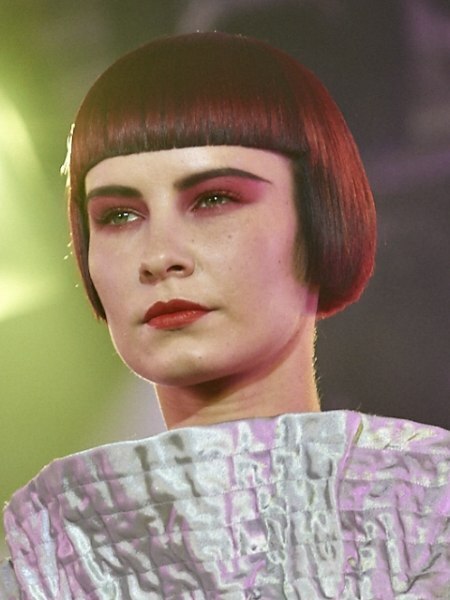 The short bob stands out with its wide and straight cut bangs that are cut to mid-forehead length, bringing much attention to the finely tuned eyebrows and eyes. The brownish red exudes a mysterious glow and natural shine. 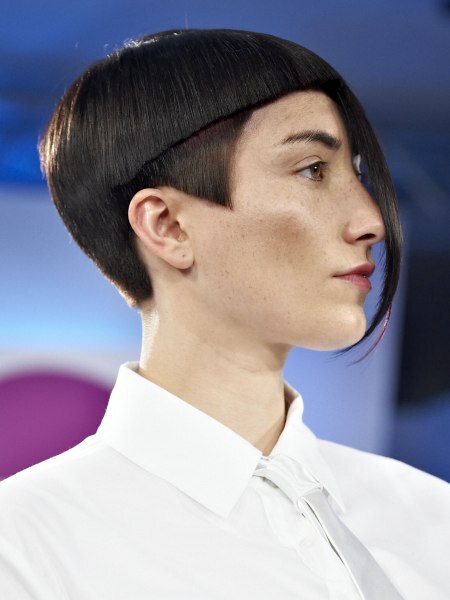 The ear covering rounded sides give the look a historic touch and the memory of Joan of Arc inevitable comes up. Inspired and minimalistic for a great effect. 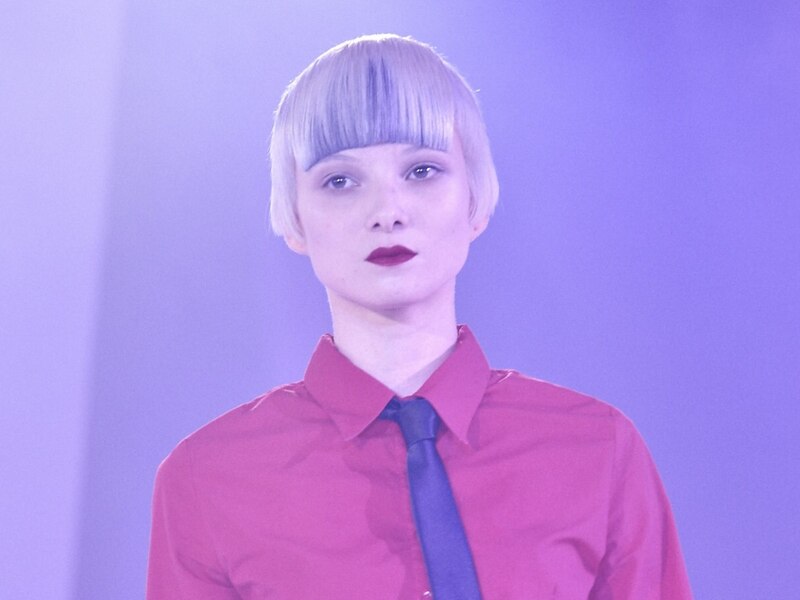 Short and precision cut to a work of purest geometry, this flawless and almost helmet like haircut brings a postmodern and wonderfully dramatic sparks with its Mephisto appeal to the party. Asymmetry, corners, sharp points and smooth round curves are the building elements of this architectural masterpiece. Of course the perfect hair color is a deep black which emphasized the form and does not distract from it. 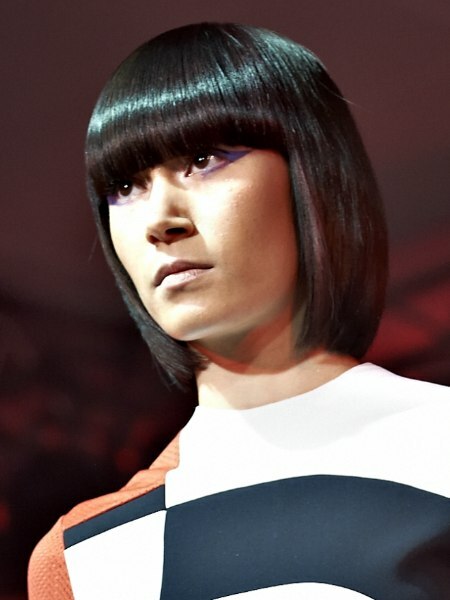 This gentle retro bob comes down to the base of the neck where it is cut in a meticulous and blunt line. The focus point however is the full and long fringe that covers the brows and tickles the lashes. 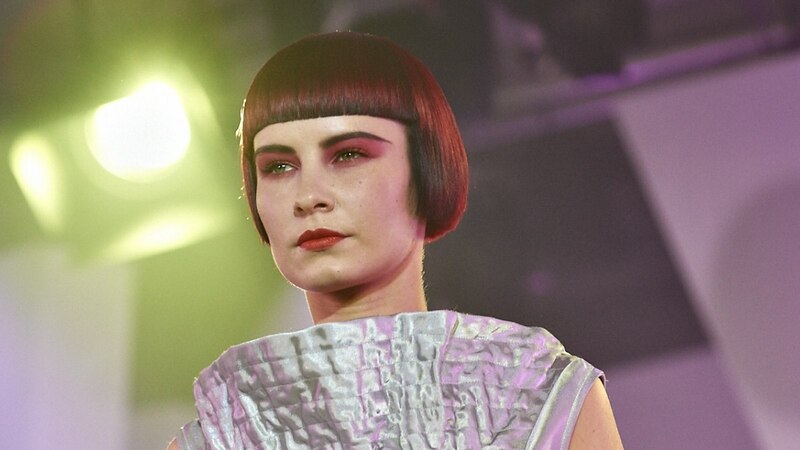 Styled with simplicity and by just adding a rich roundness, the shine becomes extreme and out of this world - an impression that is enhanced by the hair color, which is a deep black-brown with a bluish glow. There is indeed romance in the geometry. It comes in the shape of a long curve that stretches like a bow from the forehead to right underneath the chin. It is narrow enough to not cover the eyes. 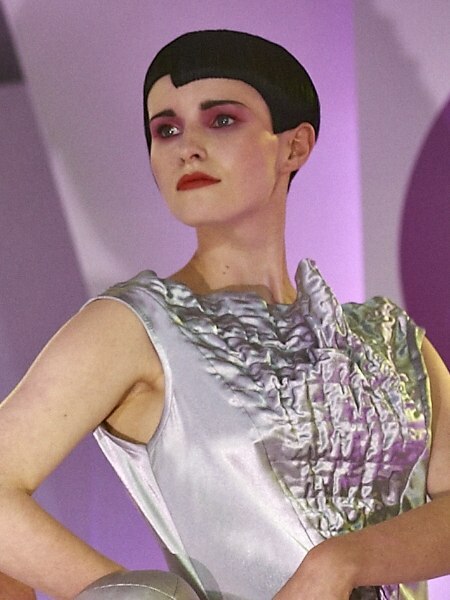 The rest of the short haircut is dominated by straight lines along the sides underneath which pointed and triangular sideburns emerge. Various lengths from millimeter short to several inches are positioned next to each other, stacked upon each other and layered. 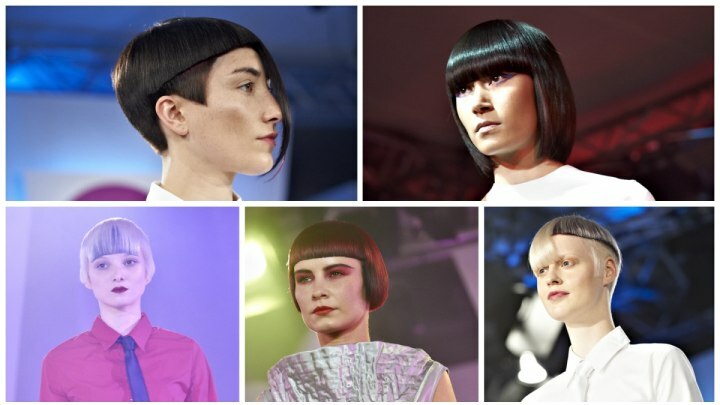 The artistic vision turned into an unusual but beautiful hairstyle that is totally young and fresh without any predecessors. 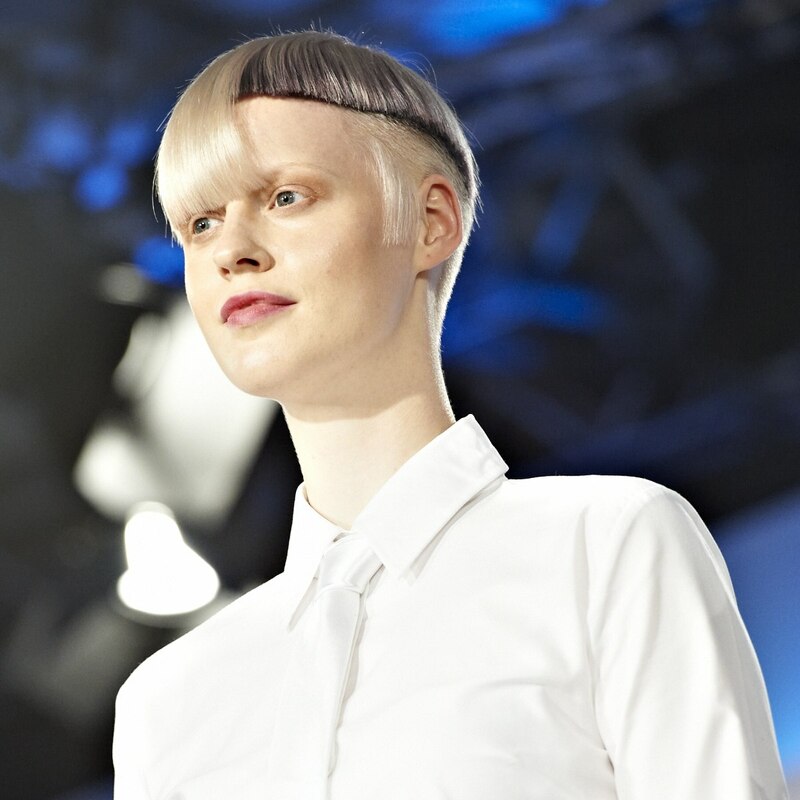 A long platinum fringe ends at about 2/3rds of the forehead and opens the view onto the monks cut short round crown part which is dyed black and has a thin platinum layer on top for a truly special effect. 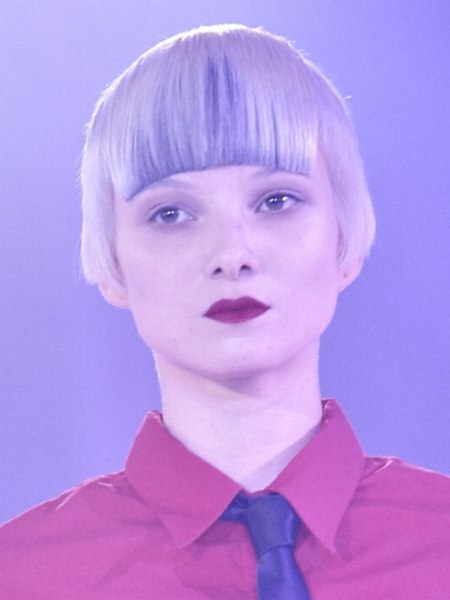 Refined coloring techniques lend a marbleized effect to the uniquely cut bangs. Dark underneath a thin layer of light peeks through in various places, revealing an ever changing pattern. 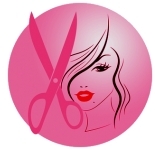 The haircut is a super short bob with a surprise effect in the shape of a gap between each end of the bangs and the sides. 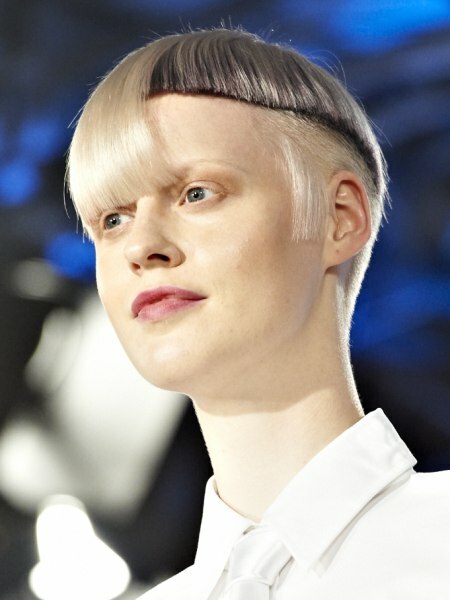 Straight lines, a couple of corners and a round styling work well for a modern, edgy, yet at the same time soft look.